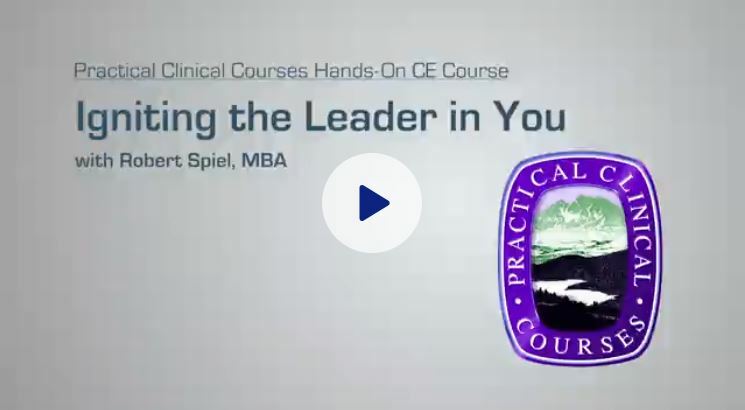 How you think, make decisions and act as a leader determines the level of staff support, enthusiasm, and success you can achieve in your practice. Upside-Down Leadership is where staff take personal ownership and responsibility for their role in the practice. It is a simple, powerful philosophy for building your dream team and creating your dream practice. This course will open your eyes to what you need to know -- and what you need to do -- in order to take your practice up one level, or up four levels. Shift from a high stress and high burnout dynamic, where you have the burden of responsibility, to a high-impact and high-performance culture where everybody works together as a team. 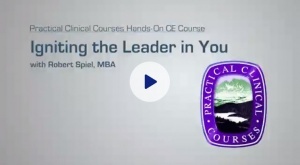 Bob Spiel will help you strip the mystery away from true leadership and team building. Inspired leadership is the foundation of a meaningful practice. Create an environment for excellence and do more of what you love in life, not just dentistry. Understand 3 simple actions, and one shift in focus, that result in true personal and practice growth, an excited and motivated team and high practice productivity. Find the secrets to making delegation and accountability clear, non-controversial and without worrying about conflict. Learn the critical, relatively unknown way smart leaders think – and how to eliminate limiting beliefs. Navigate the myth of owner control and how releasing control increases your influence and abilities. Build a high-performance team where each person accepts responsibility and ownership and works for the team as a whole. Unlock the magic of teamwork to create sustainable cooperation, harmony, and productivity.